SKU: 101527 Category: Tank Accessories Brands: Ninja. * MADE IN THE USA!!!! * Light weight only 1 ounce * Deep NINJA black color * RED NINJA BOTTLE O-RING * Easily installed * Fits 3000 psi and 4500 psi Ninja regulators. * ASTM COMPLIANT NOTE: Care must be taken when using an aluminum bonnet to prevent thread gauling with the markers ASA. Use a lubricant (Vaseline or DOW 33) on NINJA REG threads. Do not force the bonnet into the ASA. 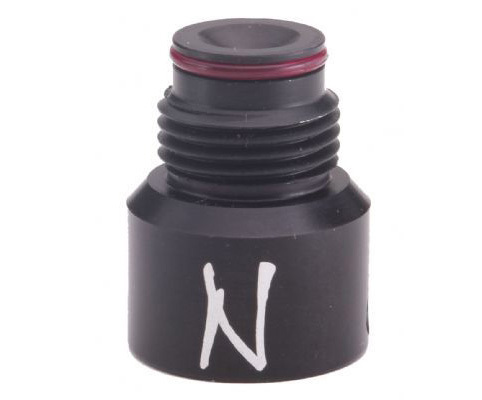 Install and remove the NINJA REG slowly from your markers ASA.